The woman who faced attempted theft charges after taking an animal trap, with a raccoon inside, to animal services in Richardson, was found not guilty Wednesday. The judge in the case directed the jury to find Bonnie Bradshaw not guilty after she was found to have no intent to steal the traps. Bradshaw's rescue organization had been called to retrieve the raccoon after a witness, Stacie Hughes, said she saw the animal trapped for over 12 hours. Bradshaw took the box trap containing a distressed raccoon, and a second empty trap, both of which belonged to wildlife removal service Cridder Catchers. Bradshaw said she took the second trap to prevent another animal from "going through that same torture." 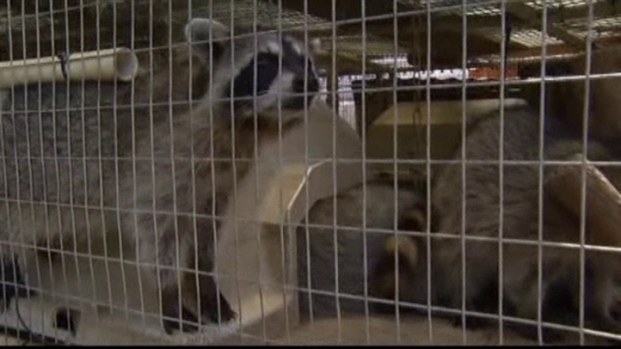 Wildlife rescuer Bonnie Bradshaw, who was accused of stealing a trapped raccoon was found not guilty Wednesday. Bradshaw turned the cages over to Richardson animal services before the police contacted her about the accused theft. By that time, animal services had already begun an investigation into the allegation of animal cruelty based on Bradshaw and Hughes' statements. Cridder Catchers faces a misdemeanor for inhumane treatment of an animal due to the incident.